The Freedom From Religion Foundation is welcoming a new report highlighting deficiencies in the IRS’ enforcement of a rule that prohibits churches and other 501(c)(3) nonprofits from engaging in electioneering. The U.S. Department of the Treasury Inspector General for Tax Administration — which is an independent arm of the federal government that oversees the IRS and acts as an IRS watchdog — recently published a report criticizing the IRS for failing to enforce the politicking ban, known as the Johnson Amendment, and for employing subjective standards to determine what constitutes political activity. 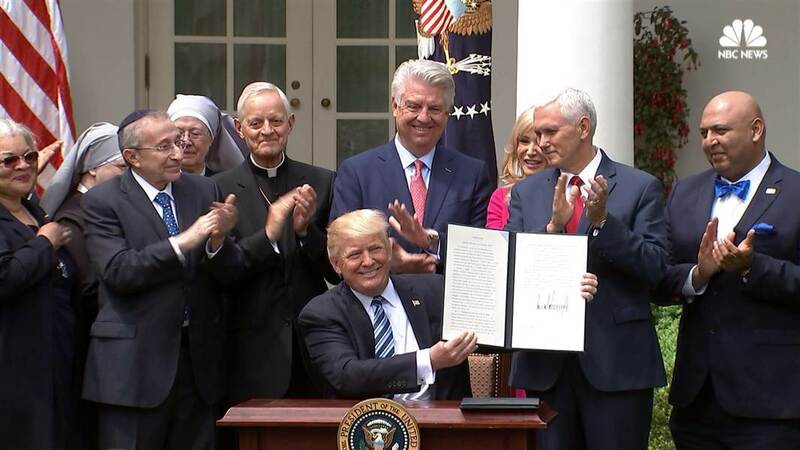 The report is particularly timely because President Trump and Vice President Pence continue to repeat their lie about “destroying the Johnson Amendment,” a provision FFRF has long worked to uphold. FFRF won that lawsuit. Trump’s own Department of Justice explained to the court that the executive order did not do what Trump claimed and, in other words, that Trump was all talk. That lawsuit was not FFRF’s first to seek enforcement of the Johnson Amendment. The state-church watchdog sued in 2012 because the IRS had failed to fill the position that enforces the politicking rule against churches. That case was settled in FFRF’s favor in 2014, when the IRS demonstrated it had resumed investigations of political churches. FFRF renews its claims of nonenforcement in its newest lawsuit against the IRS filed today in D.C. District Court on a related matter of preferential treatment. The report looks at 11 sample complaints that should have been submitted for further review because they alleged impermissible political activity. None of them were. The reports recommends several sweeping changes to IRS practices so that churches and other tax-exempt organizations will be held accountable when they break the law. FFRF hopes to see these changes swiftly implemented. FFRF is a national state-church watchdog with more than 32,000 members. Its purposes are protecting the constitutional separation between state and church, and educating the public about matters relating to nontheism. Read more about the importance of the Johnson Amendment and its popularity with religious Americans (80 percent say it’s inappropriate for pastors to endorse a candidate in church) here.